sc 278 I Had A Dream. Toppie tools around town running errands as he chats at you about the latest drama concerning where he might soon be living, or not living… it’s all about some recent huge regrets and self doubts about the near future. LEFT click HERE to LISTEN to episode 278 on your computer NOW. RIGHT click HERE to Direct Download episode 278.
sc 37 Thinking Like A Real Homeowner. Also, a surprise visit from Winnifred Knobstopper from the Butterball Hot-line. 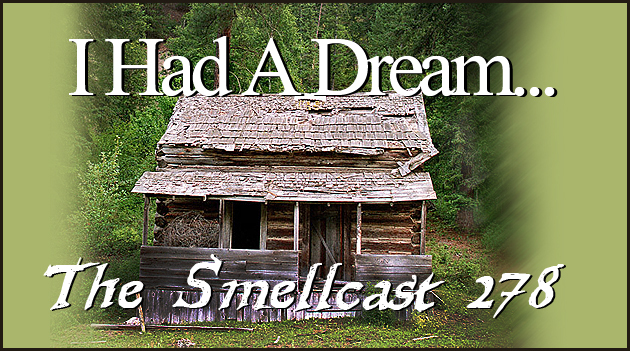 Click the link below to listen to the Smellcast, episode 37.